Two Filipino fishermen from Saudi Arabia was caught by the Eritrean Coast Guard while fishing in the territorial waters of Eritrea. 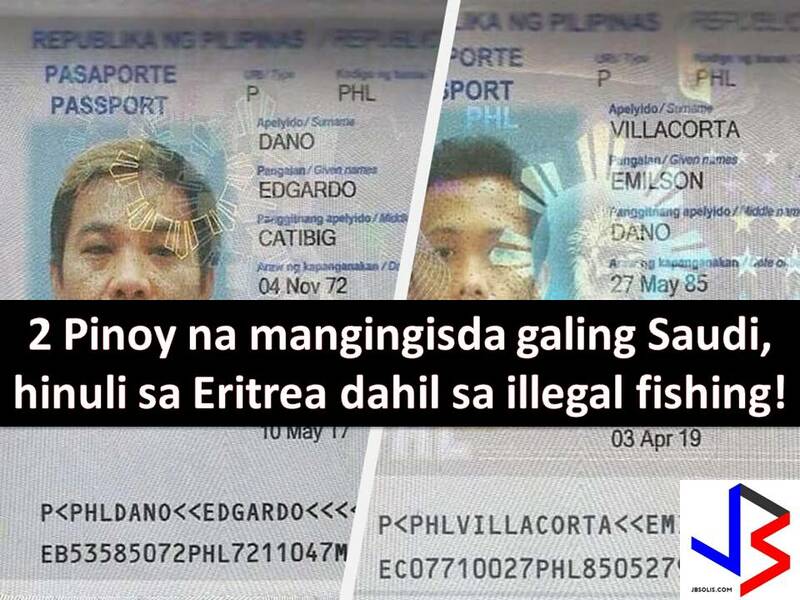 The two identified as Edgardo Catidig at Emilson Villacorta, both almost a year in their respective job in Saudi. 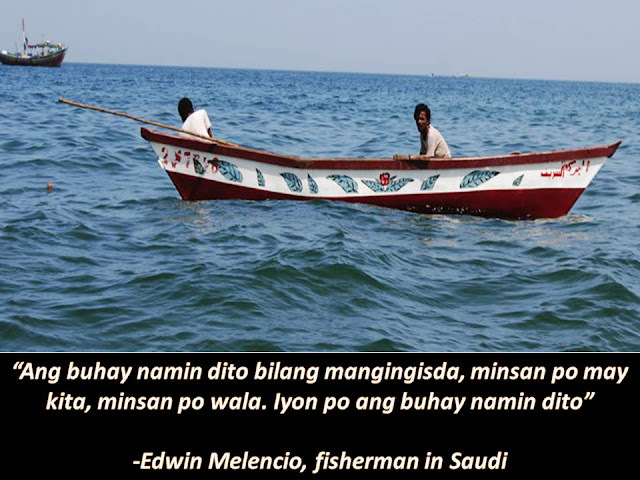 With the three fishing vessels, the six Filipinos including Catidig and Villacorta sailed to Eritrea from Jeddah to fish. According to the report, Eritrea is almost 200 kilometers from Albirk port in Saudi Arabia. Accordingly, there is a lot of fish in territorial waters of Eritrea compared in Saudi that is why they are enticed to go. Because of the incident, other Filipino fishermen are now worried about the fate of their two colleagues. Mungosera said, Filipino fisherman in Saudi knows the situation there but still many tries their luck. In September 2014, four Filipino fishermen in Saudi Arabia was caught by Eritrean coast guard. Five others added to the list in February 2016. They were repatriated in the Philippines with the help of the Philippine embassy in Egypt and Philippine consulate in Jeddah. 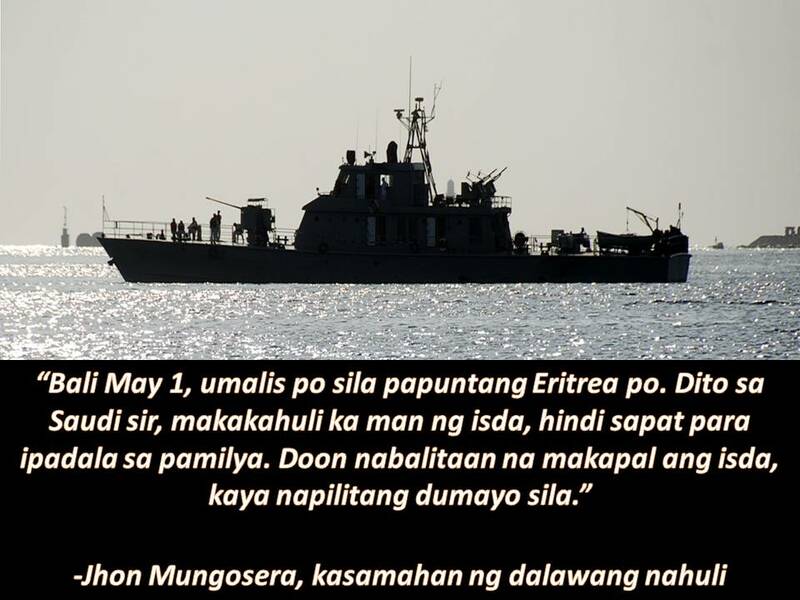 They said it is not easy to repatriate Filipino fisherman caught in Eritrea because this is not the first time that the incident happened. Aside from this, Philippines has no embassy in Eritrea and they have no jurisdiction in the said country. As of the moment, the employer of the fishermen has coordinated in the consulate in Jeddah who promised that they will do everything so that the two can be brought home to their families in the Philippines. 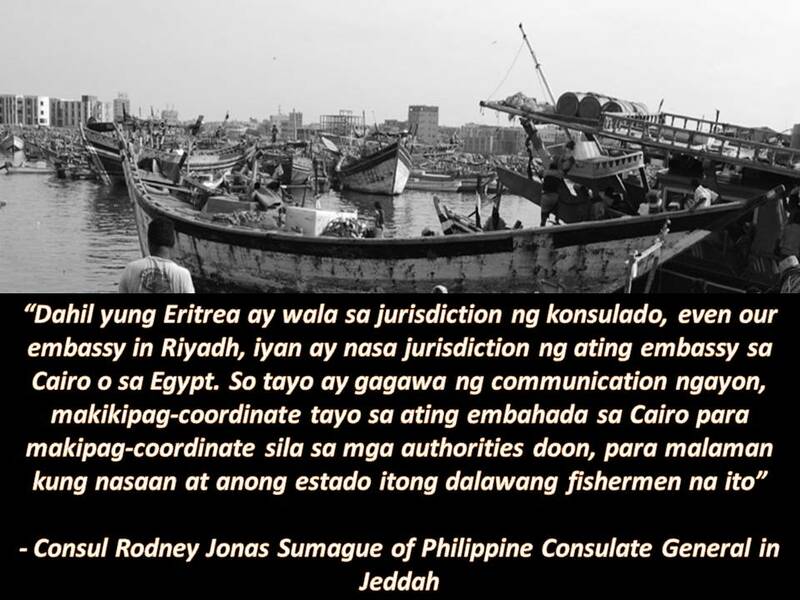 The consulate repeats its warning to all Filipino fisherman in the Kingdom against fishing outside the Saudi territorial waters to avoid detention.